LISBON, Mar 22 2013 (IPS) - The huge impact of the economic crisis on male employment in Portugal has led to a sharp increase in the proportion of women who have become the main breadwinners in their families. But that has not translated into progress towards equality. “Today there is more male unemployment than female, because the crisis has especially affected the civil construction industry,” said Anália Torres, a professor at the Technical University of Lisbon’s Higher Institute of Social and Political Sciences. “With less economic activity in that industry, which traditionally employs men, the male unemployment rate has climbed, while in sectors that generally employ women, unemployment grew much less,” Torres said in an interview with IPS. The European Commission expects unemployment in Portugal to reach 17.3 percent in 2013. But opposition parties and trade unions project a rate of 24 percent. The gap between the figures is explained by the thousands of people who have stopped registering at the government employment centres or have moved abroad, mainly to other European countries or to the former Portuguese colonies of Brazil, Angola, Mozambique or Macau. Another factor that puts women in the position of bringing home the bacon “is that many remunerated activities carried out by women are in the informal economy, undeclared or unskilled work, such as cleaning or babysitting in the homes of the well-off,” the academic said. In Portugal, the 1961-1974 colonial war in the country’s overseas territories in Africa – Angola, Guinea-Bissau and Mozambique – “led to large numbers of women replacing men (in the workplace),” Torres said. Since then, “the idea of the working woman who helps support her family has remained in place,” she added. During the war, Portugal maintained a permanent force of 220,000 military troops – an enormous figure compared to a population at the time of 8.8 million (10.6 million today). Nevertheless, “the predominant sexism persisted, and men continue to make a show of unacceptable machismo today,” she said. Women are sometimes the target of violence, often with tragic results, because many men “base their masculinity on their wage-earning power, even though both men and women have been working and supporting the family for a long time now in Portugal,” Torres added. Between January and November 2012, 30 women were killed in Portugal by their partners or ex-partners, according to UMAR, one of the largest women’s organisations in the country. That makes Portugal the country with the largest number of femicides – gender-related murders – in the European Union, in proportion to the population. But “working is also a kind of insurance against machismo, in the sense of women being aware that they are making a living and don’t need men,” Torres said. 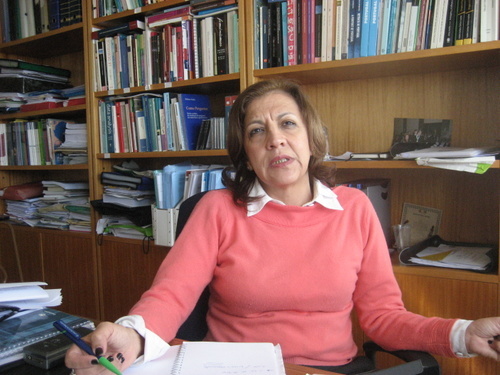 Sociologist and researcher Sofia Aboim of the University of Lisbon’s Institute of Social Sciences said that in the last eight years, the proportion of couples in which the woman is the main breadwinner has risen from two to 16.5 percent. It is “obvious” that many men “have suffered a strong blow to their self-esteem, because their masculinity is traditionally associated closely with supporting the family,” she wrote in the newspaper Público about the conclusions of a study on the subject. Aboim said this situation was seen especially in couples with low levels of education and in older couples, especially between the ages of 51 and 65. In general, “the highest-level posts are filled by men, even though, for example in the academic world, studies show that there is no difference in the production of research or articles. But women are not heads of institutes and are not on the boards of universities, with very few exceptions,” she said. The problems plaguing Portugal affect everyone, “but in the crisis, women face greater difficulties, aggravated in cases in which their husbands are unemployed, because they still have to take everything on their shoulders. “The worst thing about this government (of conservative Prime Minister Pedro Passos Coelho) is its complete insensitivity and indifference towards the plight of the people,” Torres said.